We are committed to helping and aiding our customers through the whole Testing process. We provide you with a complete package of tests and results to comply with all Health & Safety legislation, with us being fully insured to carry out testing. Our Testing process includes Periodic Testing, Landlord Safety Certificates and General Electrical Safety Certificates. So if you are looking for a professional Testing service at a competitive price, we can help. What is a Landlord/ Commercial PIR Test? This is a comprehensive test on the condition of the electrical installation, wiring and accessories in a property. The electrical system is tested against safety standards producing a report. The report lists any electrical faults, concerns, and areas of the system that require further investigation. This test does not include any repair to the electrical system but provides a timescale of urgency on which remedial action should be taken. When you have the report you can get remedial work or additional investigation. These reports are useful for determining the condition of an electrical system before purchasing a property. For landlords, a 5 year inspection is deemed sufficient. How much does PIR Testing cost? 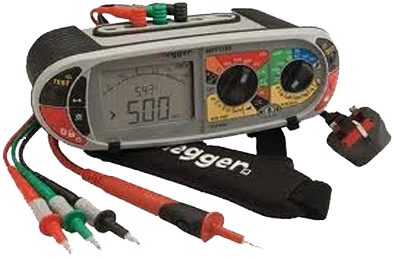 Our rates are very competitive and for your convenience, we can also test equipment in the evenings or weekends. The cost of a PIR will depends on several factors. Being The size of premises and number of rooms, the number of circuits, the presence correct labelling of circuits on the fuse board and finally ease of access for us to inspect and test.